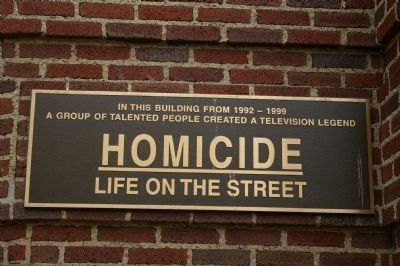 A group of talented people created a television legend. Location. 39° 16.903′ N, 76° 35.532′ W. Marker is in Baltimore, Maryland. Marker is on Thames Street, on the right when traveling east. Touch for map. 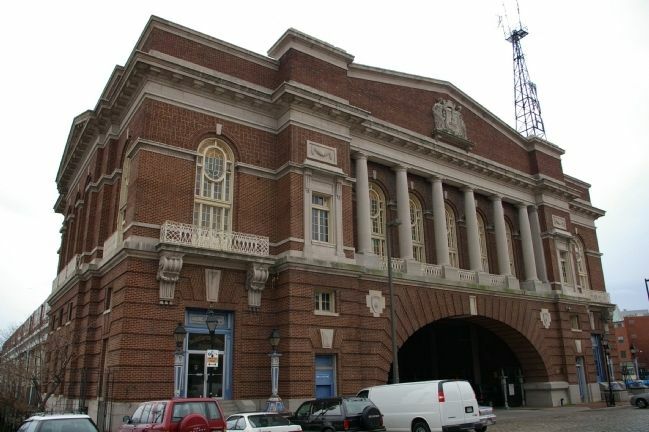 Marker is in this post office area: Baltimore MD 21231, United States of America. Touch for directions. Other nearby markers. At least 8 other markers are within walking distance of this marker. Fells Point (within shouting distance of this marker); The Chesapeake Campaign & The War of 1812 (within shouting distance of this marker); a different marker also named Fells Point (within shouting distance of this marker); The Robert Long House (about 300 feet away, measured in a direct line); On Thursday, September 18, 2003 (about 300 feet away); 732 South Ann Street (about 400 feet away); War in the Chesapeake (about 500 feet away); “Baltimore must be tamed…” (about 500 feet away). Touch for a list and map of all markers in Baltimore. Marker is just to the right of the massive arch. More. Search the internet for In This Building From 1992 - 1999. Credits. This page was last revised on June 16, 2016. This page originally submitted on March 17, 2008, by Christopher Busta-Peck of Shaker Heights, Ohio. This page has been viewed 1,350 times since then and 9 times this year. Photos: 1, 2. submitted on March 22, 2008, by Christopher Busta-Peck of Shaker Heights, Ohio.